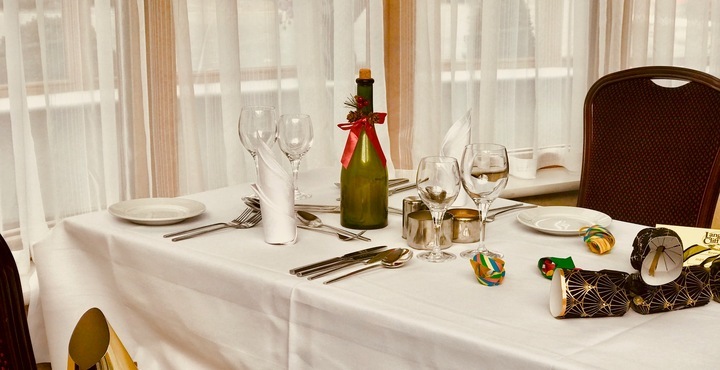 Christmassey Sundays have maintained their popularity over many years here at the Langstone Cliff Hotel. We believe this is due, in no small measure, to the fact that we stick to the traditional format that everyone knows and loves at this happy time of year. Lunch is served between 12.30pm and 2pm in the Lincoln Restaurant. Our ‘magical piano’ sets the mood with seasonal songs and carols. Good quality hats and crackers ensure a party atmosphere throughout lunchtime. And for the children, humoured entertainment keeps them amused for an hour or so before tea and cakes. To book, call us on 01626 221329 or contact us here. You want your Christmas party to go off with a bang, so leave soggy sausage rolls and boxes of cheap wine behind you and embrace the weird and wonderful traditions of Devonshire county!